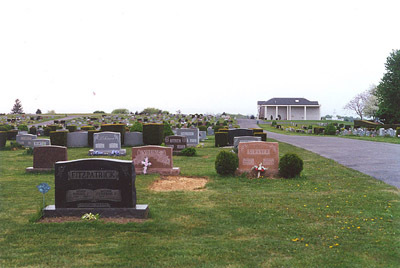 The oldest part of Richland Cemetery is actually the old Weaver Mennonite Cemetery. From Scalp Ave (Old Rte 56) take Luther Rd. Access is from Luther Rd.